The other night on TV, a show featured an urban-legend-ish conversation about someone who’d been bitten by a spider and then discovered little spiders crawling out of the bump on his neck. 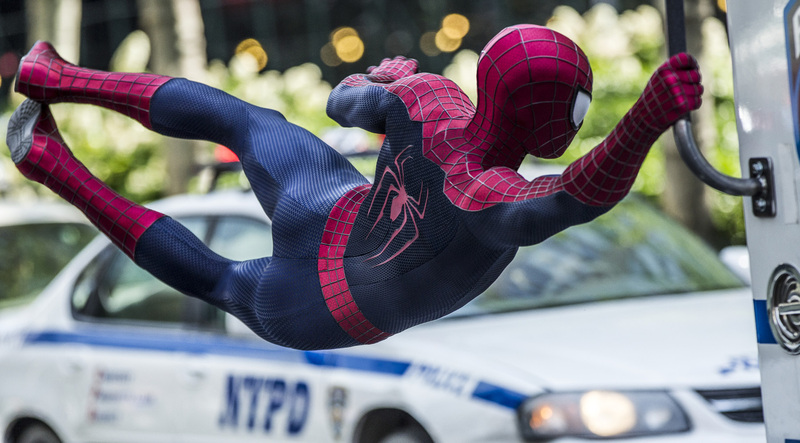 I couldn’t stop thinking about that as I watched this, the latest in the ongoing Hollywood franchise about a nerdy teenager, Peter Parker, turned into a wisecracking, crime-fighting superhero by the bite of a radioactive arachnid. 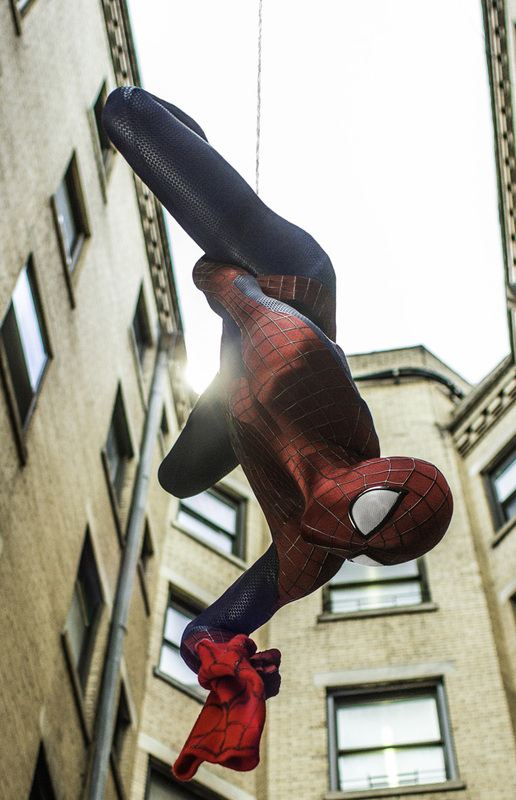 Not only is the Spider-Man empire, with its deep comic-book roots that go back to 1962, built on the bite of a spider, but this now marks the fifth big-screen treatment of the tale, and the second notch of the new cinematic arc following the original Spider-Man cinema trilogy, starring Tobey Maguire, that ended in 2007. Those little spiders—they just keep coming. The problem is, now they’re in danger of getting lost in their own enormous web: massive productions with king-size star sizzle, mega special effects and north-of-$200-million budgets. This time around, the iconic wall-crawler (Andrew Garfield, reprising his role from 2012) has to deal with multiple villains, Peter Parker’s complicated relationship with girlfriend Gwen Stacy (Emma Stone, also returning), and troubling questions about his deceased parents. It’s jam-packed, stuffed with too much of everything, especially bad guys—do we really need three of them? Jamie Foxx plays an electrical engineer with serious self-esteem issues who gets turned, via a freak high-voltage mishap, into the rampaging super-villain Electro. Dane DeHaan is Harry Osborne, Parker’s rich, preppy high-school friend with a mutant family gene that morphs him into the monstrous Green Goblin. And Paul Giamatti, who opens the movie as a Russian prison escapee, later appears transformed into yet another one of Spidey’s archenemies from the good ol’ Marvel Comic book days. Garfield and Stone have natural chemistry as Peter Parker and girlfriend Gwen. Garfield, 30, and Stone, 25, seem a tad old to be playing recently graduated high school seniors. But the two of them have great natural chemistry (they’re a real-life couple, too). And their scenes together, especially when Garfield is out of the Spidey spandex and playing plain ol’ Peter, provide the movie’s strongest human heartbeat. Webb, whose directing resumè also includes the indie charmer 500 Days of Summer, gives Pete ’n’ Gwen just as much of the story as Spider-Man, a wise move for making this movie resonate even more as a date flick. Like most comic-based characters, superheroes never seem to age; Peter Parker/Spider-Man will always be eternally young. At least it’s that way in the movies, where time can be suspended, reset and rewound, and “old” actors, like Maguire, can be replaced by newer ones, like Garfield—who’s already signed on to star in the first of the two additional Amazing Spider-Man follow-ups. Yes, those little spiders—they do just keep coming. Perhaps next time, the itsy bitsy spider won’t have such a hard time fighting for his own spotlight. I loved the first two Toby Maguire Spiderman movies, but the third got bogged down with three villains, and it wasn’t nearly as good. Sounds like Marvel didn’t learn its lesson with this one. 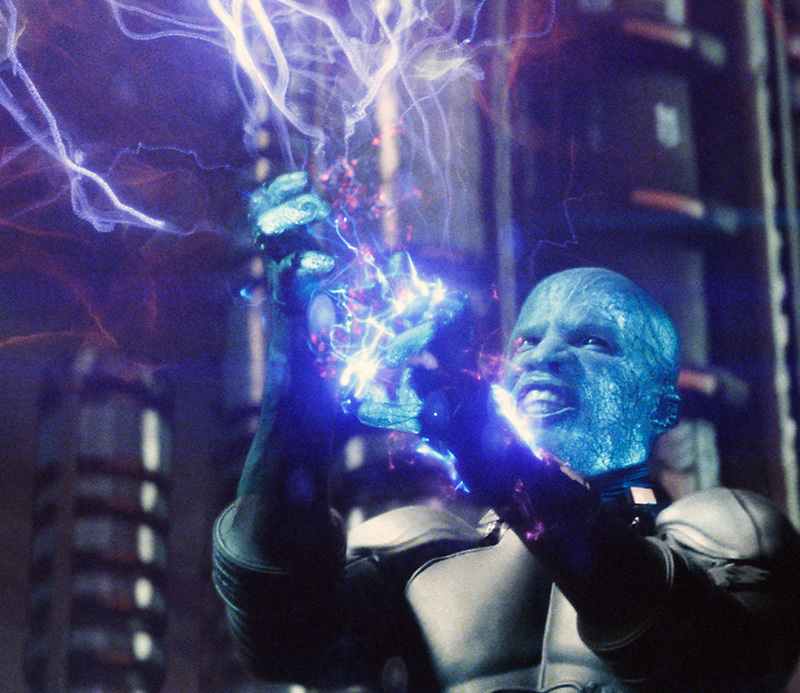 We only had 1 real villain in this movie – Electro. We saw his origin, battle with Spiderman, and his demise. The movie merely set up the foundation for 2 others: the Green Goblin and Rhino. I think it did a great job establishing the narrative for them all – it didn’t feel too busy or rushed. First of all this is not Marvel this is Sony, and marvel isn’t even marvel anymore its just Disney named Marvel with the rights to the franchises it didn’t already sell off, such as spider man. and second of all as shane said the main story was about electro with only an intro and conclusion involving the rhino which literally take no more than 5 minutes combined. And the green goblin/harry have a very entwined plot with electro and it all makes sense, i’m just upset they killed off Electro but yet are planning a sinister 6 movie, he was one of the main members, and yet the green goblin will be one and he was never much of a member, it was the hob goblin who was involved with the sinister 6.